Every Luxury Estate is different than the next. Equestrian properties, Vineyards, Private Estates just to touch on a few. Not one property will appeal to buyers or investors the same. When you are selling and before you even speak with a real estate agent, think about what attracted you to your property. 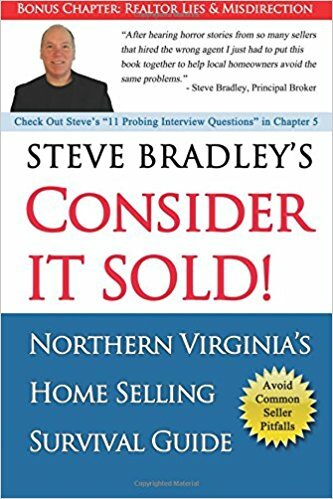 While every buyer will bring their own emotions and reasons with them, remembering yours when you purchased will be a great help when communicating with a potential buyer as to why your property is perfect for them. You’ll use your past emotions to help ignite theirs for yours now. When you are interviewing agents look for energy, ingenuity, drive, and availability. Every agent can get a home into the MLS but if you have a unique multi-million dollar property to sell make certain your agent has the energy for the long haul. Many luxury estates take longer to sell than a much lower priced cookie-cutter home at lower prices. Your agent needs to keep up the push to get your home in front of an audience capable of appreciating as well as the financial strength to close the sale. Your agent will be the first and main contact for all people interested in your luxury estate. It is critical that your agent know your property, estate or business (think vineyard) as well as you, even better. The only way to do that properly is to spend a focused and sometimes significant amount of time at the property prior to or at the start of the sale. An initial walkthrough and arriving for photos just won’t be enough. Your agent must get saturated in all that is your property. They need to know the features, why they were selected, where they came from, how they enhance the estate. Your agent must be able to make your property stand out above all the rest. They also need to sell its location. High priced estates are often completing based on a much larger geographic area than most. For example, if I were representing the sale of a Vineyard with a retail side on site I would plan to be at the home and vineyard from 3 to 5 days at a minimum. I need to know the estate, the acreage, learn about the business well enough to add a voice to its value to the property. Since most local wineries survive off of direct to consumer sales I want to know if there is a tasting room, possibly a wine club, and maybe a history of successful events. Everything I can learn and share with potential buyers, buyer agents as well as buyer’s advisors is critical to a successful sale. If you are an owner that needs confidential and private management of your property, while that can be done, it adds a level of complexity to the sale. Purchasers that also want the confidence of confidentiality will often be the case on multi-million dollar sales. Your agent needs to be trustworthy and instill confidence in those he/she speaks to. You will be their client but the potential buyer should be made to feel as if their privacy is kept that way if that is one of their requirements. If the sale is not confidential and the name of the estate can be publically listed, social media crosses all economic barriers in today’s day and age. It’s not important that your agent has a great following, it’s important that they have a deep understanding of advertising and marketing your property using social media. For exclusive properties, I typically target buyers on social media with an estimated net worth of 3 million or higher. That is what is exceptional about this platform, the ability to target the right audience locally, nationally or internationally. Selling high priced, luxury estates requires a database of qualified contacts. Personally, I wok off of my database of celebrities, producers, attorneys, luxury brokers and agents to market my luxury listings to directly.